Our best seller two years running and it's obvious why! 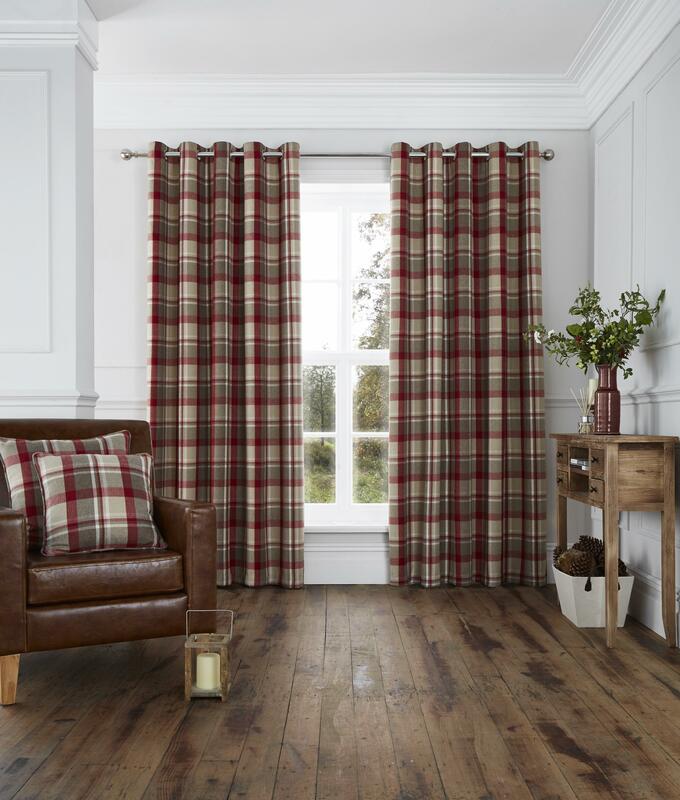 The Harris Woven Check Eyelet Curtain in Red features a rustic check design on a woven base and is brushed to add real depth and texture, making it the perfect winter curtain with a truely tactile, warm feel. The woven contruction adds weight to the curtain, creating a beautiful drape for a fuller looking window dressing. Paired with bedding and accessories from our Winters Tale Trend, transform your room and get that on-trend, rustic look. 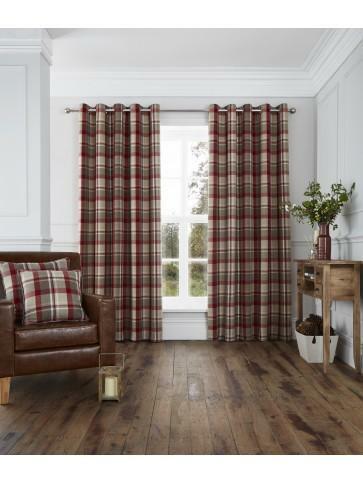 All our curtains come fully lined and consist of two curtains per pack. Matching Cushion available seperately in large and small sizes. The curtains look and feel lovely, the colours go together so well. I have been looking for nearly 2 years to get just the right colour variety and this is it, brilliant.